It is now deep in the winter months here on Crete and although it has even snowed down to the coast (!) this year, there are still quite a lot of activities to get up to, in- and outdoors. Right now, it is citrus season in Greece and what is on every table during a meal is lemons! This acidic fruit is used in various ways, but mostly just squeezed over meals. 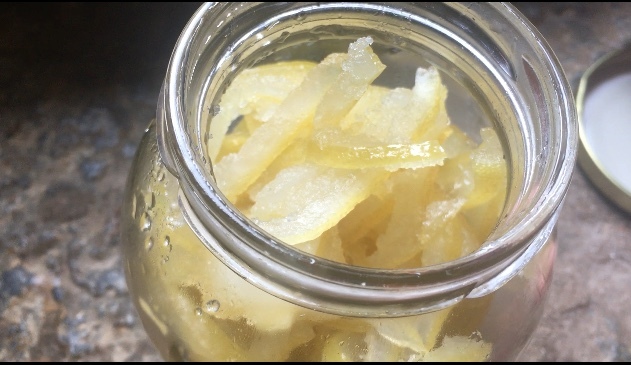 Other than acidifying your plate, here I will share two techniques how to preserve the lemony flavor for months to come. One for a sweet tooth one for savory dishes using the entire fruit. Here is a quick breakdown of the process. Check out the video for visuals. In a saucepan, bring the peels to a boil in water for 30 seconds, then pour away the water. Do this two more times (a total of three times). It helps to get rid of the bitter flavor. 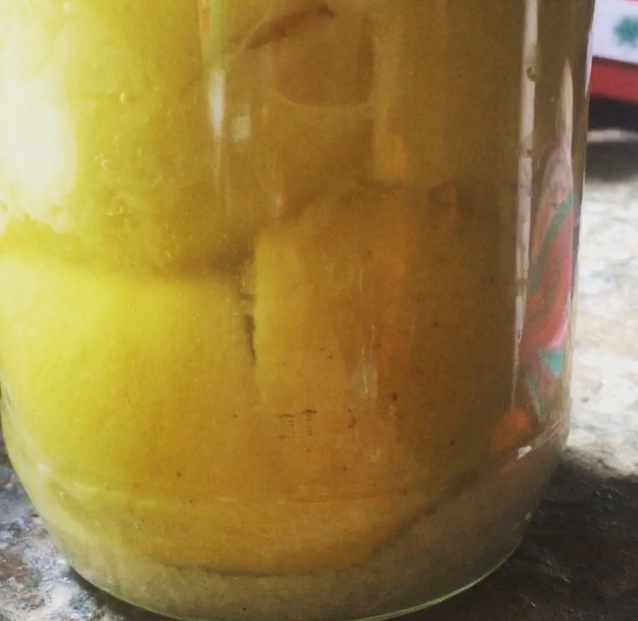 Save lemon syrup for other drinks or for flavoring water kefir! Coat lemon peels in another layer of sugar. So much sugar. But great for cakes, crepe, and of course Greek yogurt. The second process we talk about is Moroccan style salted-lemons. Here we use the entire lemon. Here is a quick breakdown of the process. Check out the video for visuals. Cover in salt (non-iodized) and push salt into the cuts of the lemons. Press into a cleaned jar. 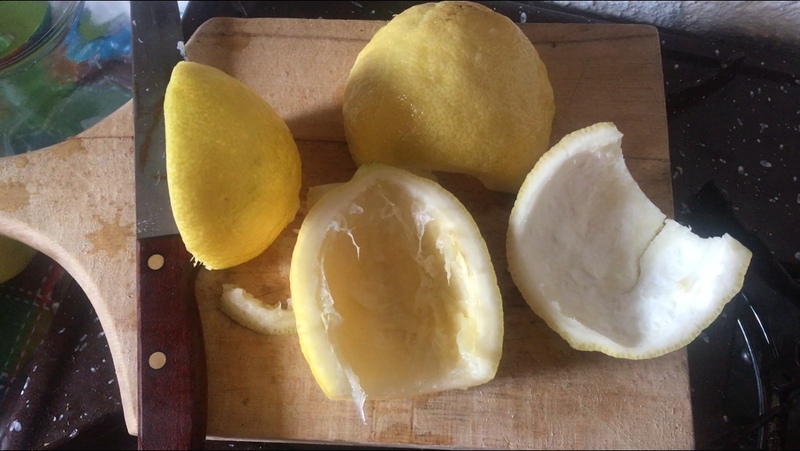 While working on the lemons and slat, the juices from the lemons will be pulled out by the salt and the lemons will get more flexible. Push the lemons down until the jar is full to the top with lemons, the lemons’ juices and salt. No water needed. 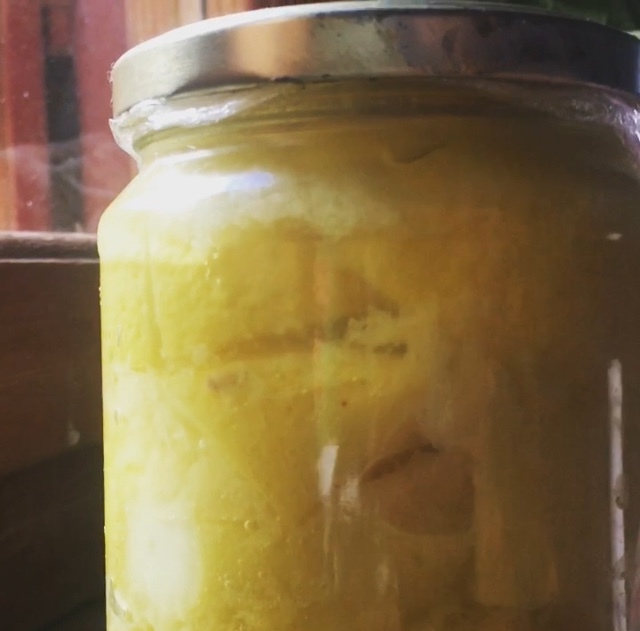 Allow jar of lemons to sit up to one month or longer outside of the fridge to acquire more flavor. Use for a tangine, salad dressing, adding extra flavors to meals etc. Remember – these lemons are very sour and salty, so you don’t need much to do a lot! Edible Alchemy is constantly meeting up with locals to exchange ideas and learn new techniques of food preparation. How to collect the right thistles, how to find land and sea snails. How to prepare and clean them. Every season offers new methods. Follow what we are doing and keep in touch with your questions and comments. Edible Alchemy will be opening up a type of Wilderness Retreat on Crete March 2019! Be in the wilderness i.e. off-grid, learn new skills of fermentation, foraging, mountaineering and clear your mind with nature and yoga in the mornings. We would love to have you join. More details on to come – but if you are keen – contact us to put you on our retreat list with upcoming information!